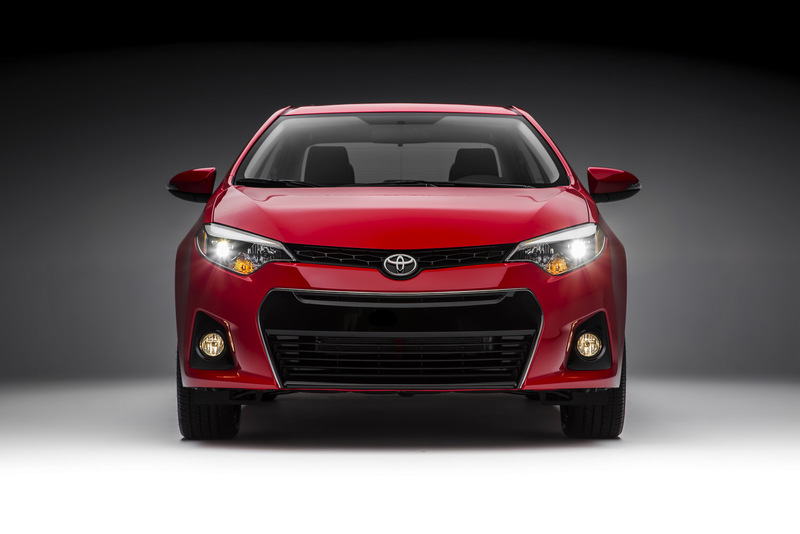 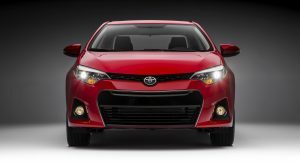 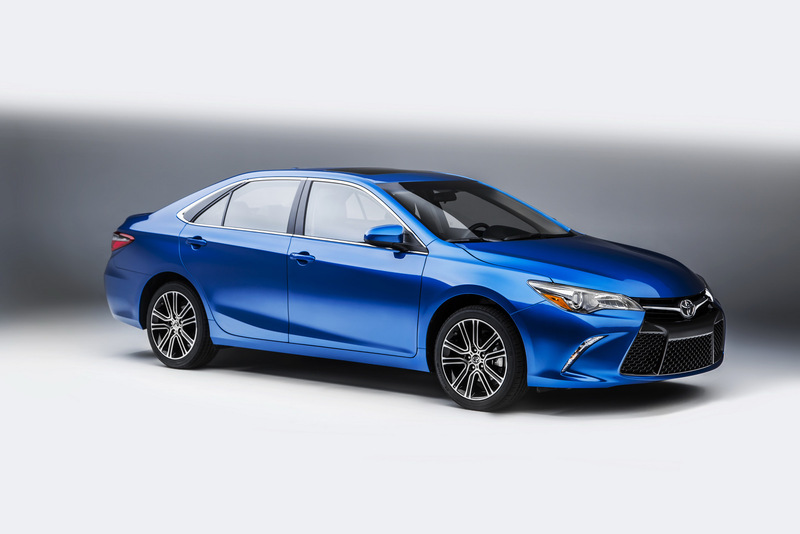 Toyota has announced pricing for the 2016 Corolla and Camry Special Edition models that debuted earlier this year at the Chicago Auto Show. 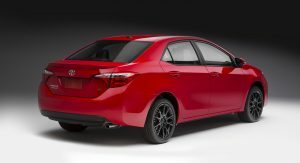 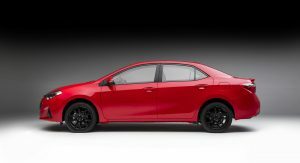 Featuring a sportier appearance, the limited production models will arrive at Toyota dealers in mid-August, with prices starting from $20,635 for the Corolla Special Edition and $25,715 for the Camry Special Edition. 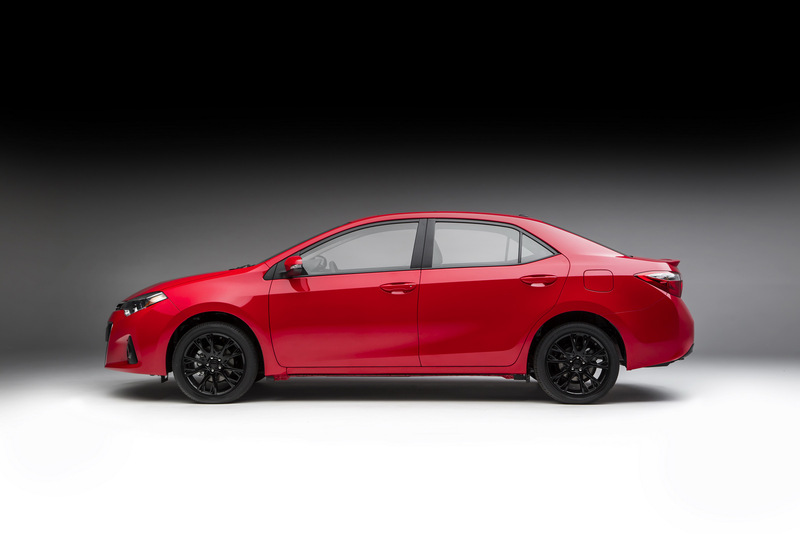 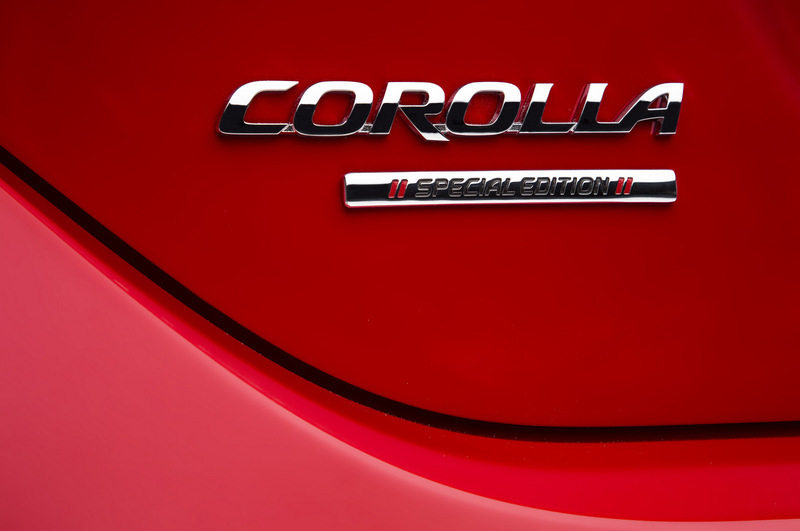 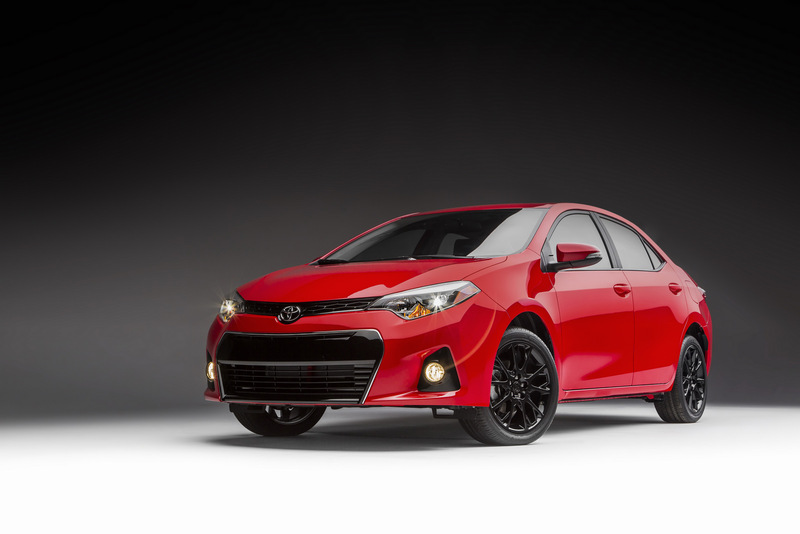 The 2016 Corolla Special Edition will be produced between August 2015 and January 2016 in approximately 8,000 units, all of which will feature sporty styling features inside and out. 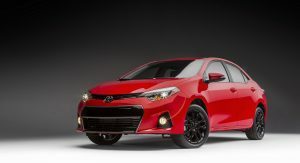 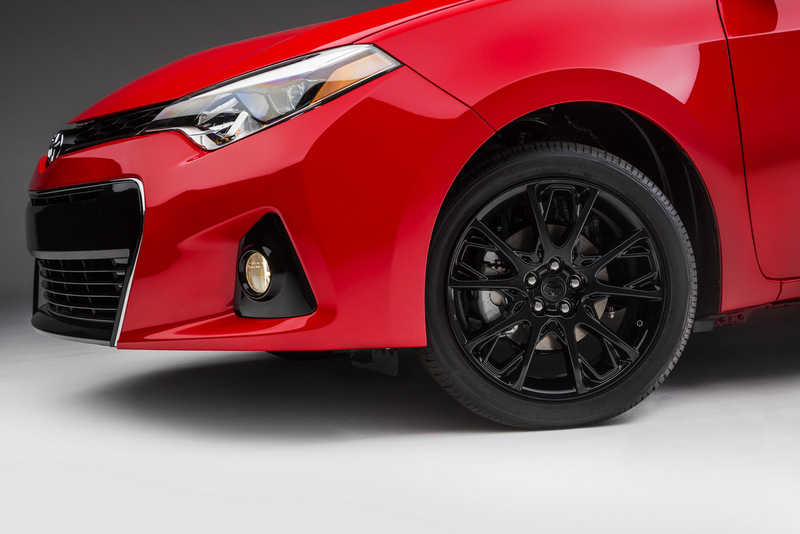 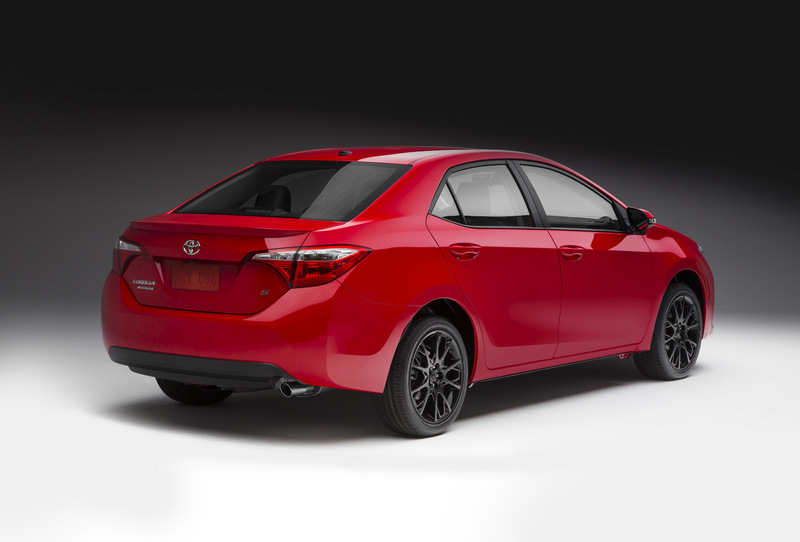 Based on the Corolla S Plus grade, the 2016 Corolla Special Edition adds steering wheel paddle shifters, rear disc brakes and Sport Driving Mode along with other standard features such as unique 17-inch gloss black alloy wheels, black interior with red contrast stitching on steering wheel, seats, shift boot and center armrest, red accented dash panel and door trim and a Smart Key System with pushbutton start. 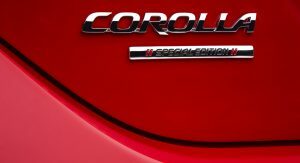 The model will be available in three exterior colors (Absolutely Red, Black Sand Pearl and Super White) and will also feature Special Edition floor mats with logo and unique exterior badge. 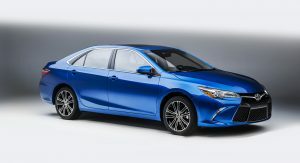 Optional extras include Toyota’s Entune Premium Audio with Navigation and App Suite and a power tilt/slide moonroof. 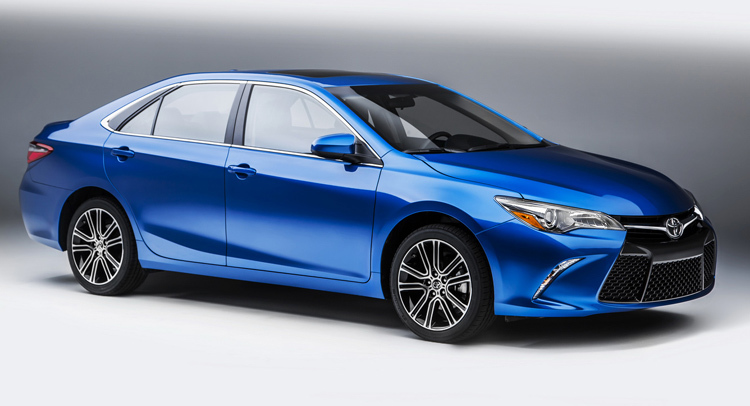 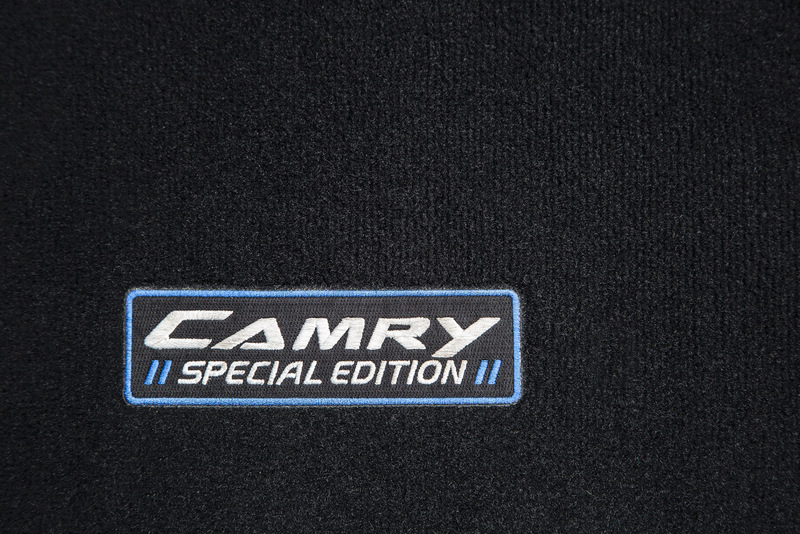 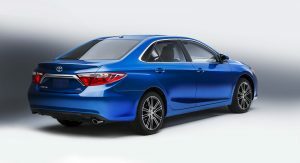 The 2016 Camry Special Edition will be built from August 2015 to January 2016 in a series of 12,000 units. 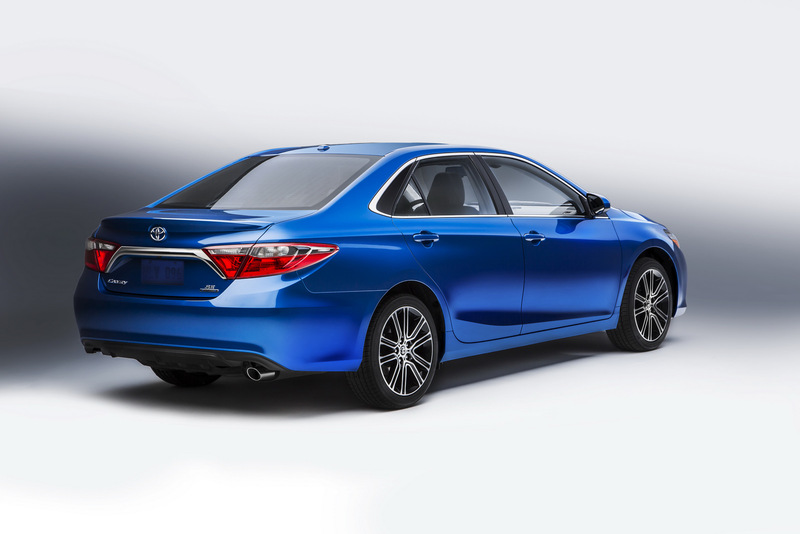 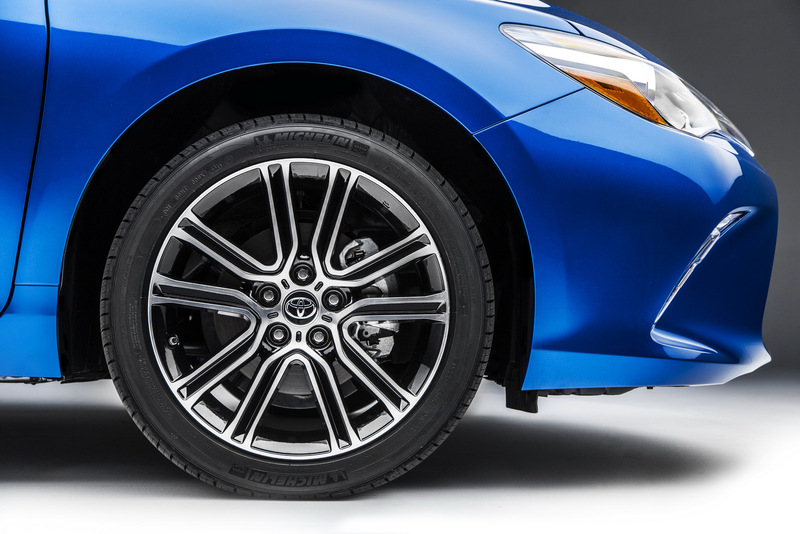 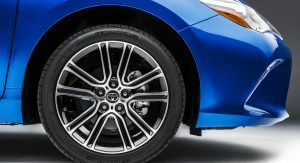 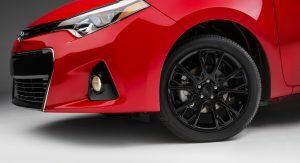 Based on the Camry SE, the special edition Camry adds unique 18-inch alloy wheels with gloss black painted accents, power tilt/slide moonroof, smoked taillights, unique Special Edition badge and Blue Streak Metallic or Blizzard Pearl exterior colors. 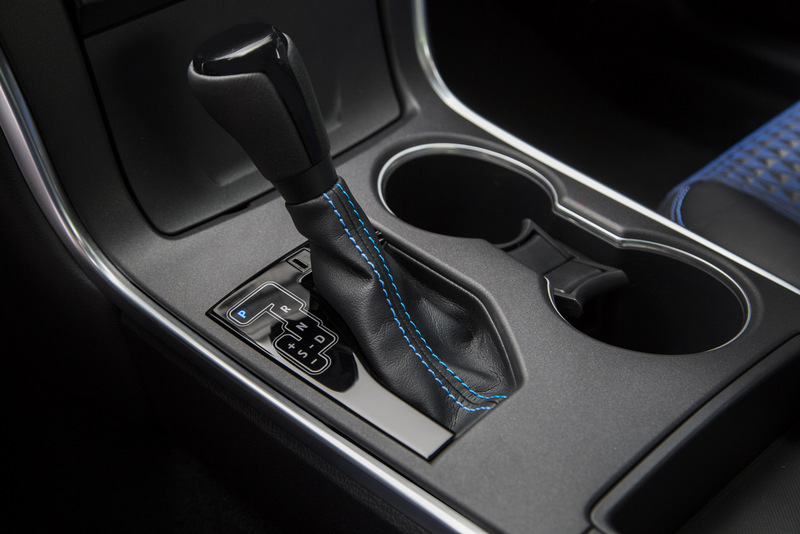 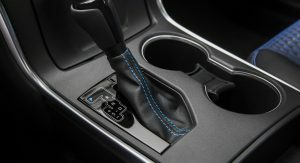 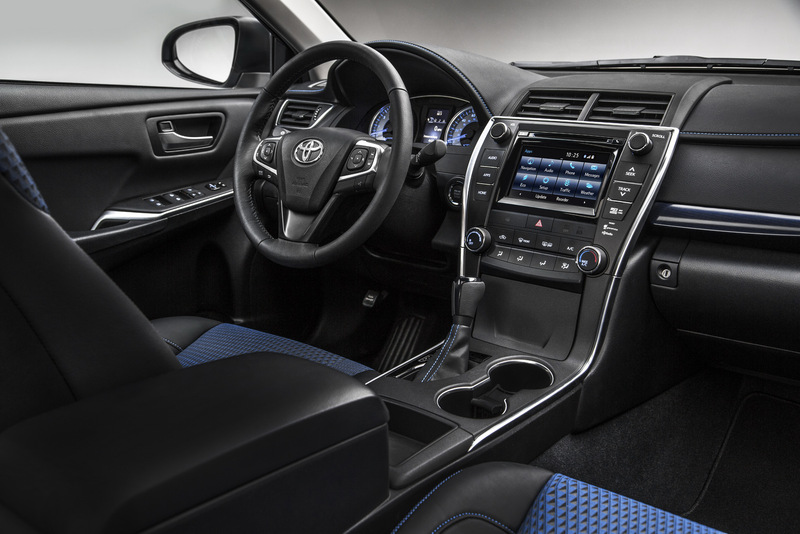 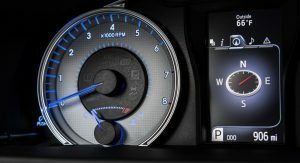 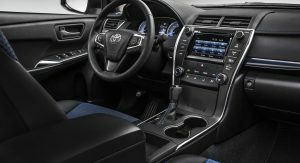 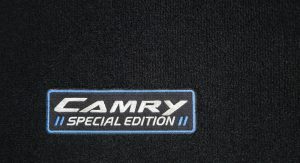 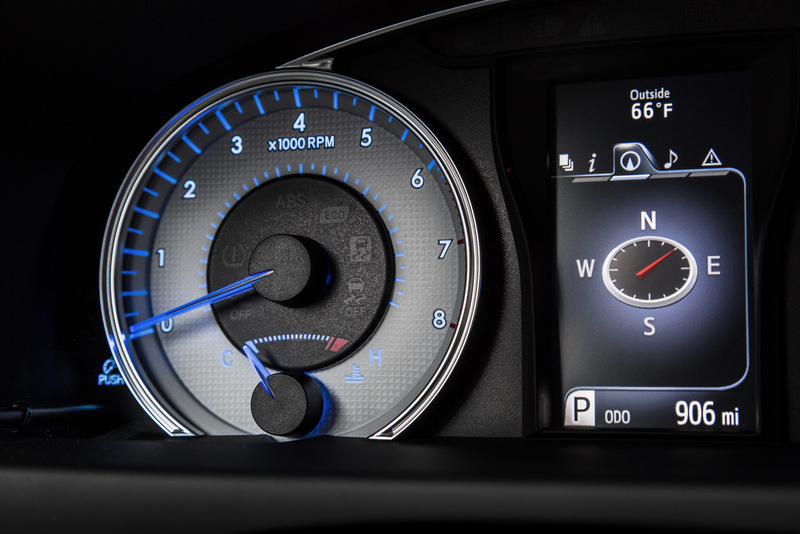 Inside, the 2016 Camry Special Edition brings a Dark Blue trim, sport fabric seats with blue inserts and blue contrast stitching, 8-way power-adjusted driver’s seat with power lumbar support, 4-way adjustable front passenger seat, unique meter cluster with TFT Multi-Information Display and Camry Special Edition logo floor mats. 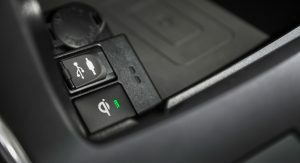 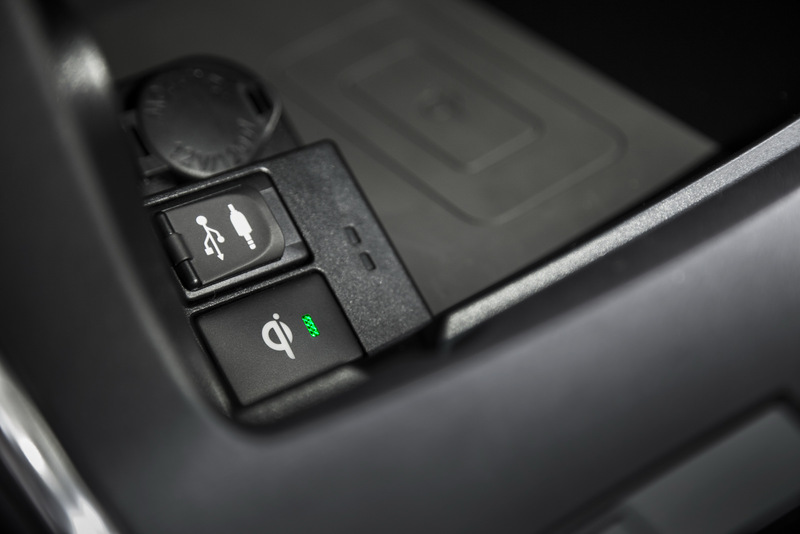 Other standard features include the Entune Audio Plus with Connected Navigation, Smart Key System on front doors and trunk with Push Button Start, Qi-compatible wireless smartphone charging. 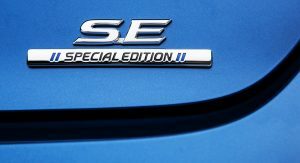 I’v never seen the “special editions” on the road. 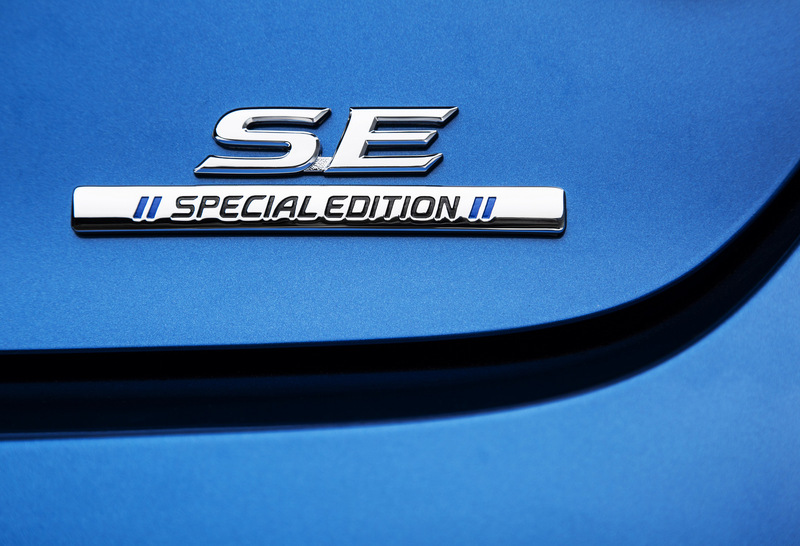 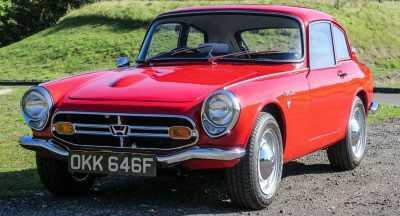 Sure they are special to anyone who bought the “sport” model and thought that’s what sporty cars are like.